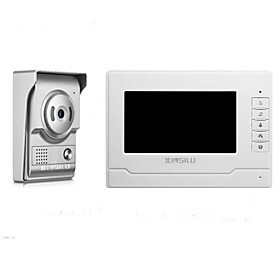 .Specifications:- Transmitting and receiving frequency: 2370MHZ- Output power: 100MW- Working Voltage: DC = 12V- Video Input/Output: PAL / NTSC composite video signal- Transmitting and receiving distance: 100M (open area without interference)- Working temperature: -20°C to 80°C- Receiver sensitivity: -85Dbm- Entire Operating Current: DC = 12V 200mA- GPS Power OUT: DC = 5V 1.5A- Video Output Interface: RCA Male Video. 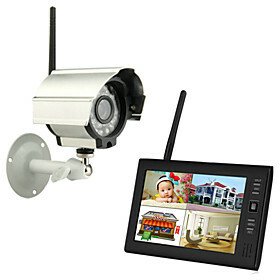 LCD Monitor. 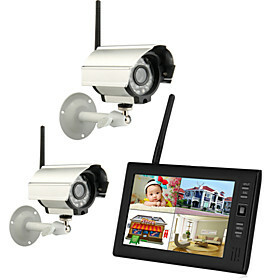 :- Screen Size: 7inch TFT monitor upright- Display Mode: 16: 9/4: 3- Video System: PAL / NTSC dual system automatically switches- Pixel: 800*480- Operating voltage: 12V-24V wide voltage- Rated power: 6W- 2AV input reversing automatic display- Contrast: 350: 1- Display Size: 4: 3/16: 9- Working temperature: -4°F to 140°F- Storage temperature: -40°F to 185°F.Waterproof Camera:- Effective Pixels: 628*582 pixels- Viewing Angle: 120degree wide-angle, 420TV- Minimum Illumination: 0.3LUX, high sense of low light- Video Output: RCA interfaces, 1.0Vp-p, 75ohm- Sensor: PC1030 (available with reference line)- SNR: More than 48db- Working Voltage: DC12V (+ / -10%)- Housing Material: Aluminum-magnesium alloy, abrasion resistance- Waterproof: IP68 waterproof design, the strict flooding test. 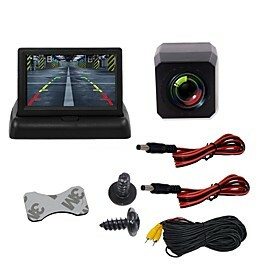 Package Contents:- 1x 7" TFT LCD Monitor- 1x Car Rear View Camera- 1x Remote Controller- 1x 2.4G Transmitter- 1x 2.4G Receiver- 1x Holder- 1x Frame. Advice: Due to the complex of the item, please find a professional to install. 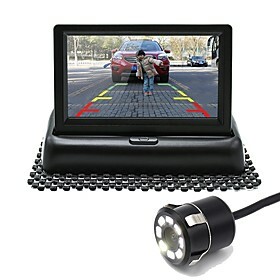 This item is highly reco mmended to avoid accidents and prevent loss and troubles when driving or parking in reverse. 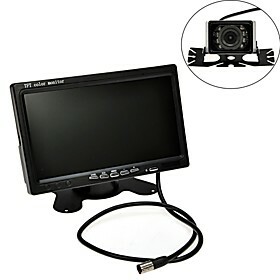 The LCD monitor can be easily connected with 120-angle range camera which can give u a big view when parking. 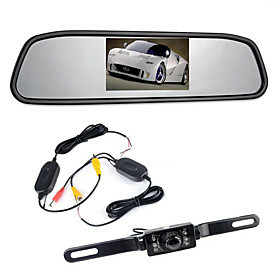 With delicate design stable operation high color effect picture you will enjoy a safe and convenient driving experience. 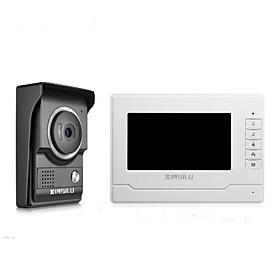 Update your Camera and add to its beauty with latest Camera Accessories in superior quality and attractive designs. 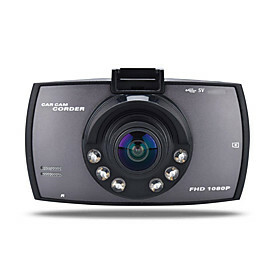 Find every accessory to require for your camera at reasonable price with us.